The deafening clatter about corruption in the helicopter deals made with AgustaWestland by various Indian authorities refuses to die down. A PIL has been filed in the Supreme Court by TS Singhdeo and Nitin Sinha seeking probe in purchase deals executed by five states - Chhattisgarh, Jammu & Kashmir, Punjab, Rajasthan and Jharkhand. The Bench comprising Justice Dipak Mishra and Justice Nagappan on Friday has asked the Centre to reply. Though it is initially reported that the Supreme Court has issued Notice to Centre, Advocate for the Petitioner Prashant Bhushan told LiveLaw that, it may not be technically correct to say that the Court issued notice, but the Court asked the Centre to reply. The PIL states details of the deals between the state governments and AgustaWestland and claims that through a spurious global tender, the deal has caused a huge loss to the state exchequer. The petition, filed and argued by Advocate Prashant Bhushan, seeks directions for investigation by the CBI and the ED against the non-transparent, arbitrary, illegal and malafide procurement of civil helicopters by various state governments for the movement of VVIPs in the last decade. According to the petitioner, during the last decade, various state governments have purchased helicopters for VVIP movement from manufacturers like Agusta and Bell. It is alleged that all these purchases were made either without inviting any tender in violation of procurement rules or as a completely sham exercise in the name of a so-called tender. “Some of such deals have also been scrutinised by the CAG, which has also given adverse findings. That the CAG in 2015 had pointed out illegalities committed by the State of Jammu & Kashmir in procurement of Agusta A 109 E Power helicopter in the year 2004-05. It is also alleged that the CAG in its report has stated that the helicopter had been procured in non-transparent manner by the State Govt. Similarly, the CAG in its 2015 report had pointed out irregularities committed by the State of Punjab in procuring helicopter without inviting any tender in violation of Punjab Financial Rules. Whereas the Jammu & Kashmir and Punjab purchased the Helicopter without any tender in violation of CVC guidelines and procurement rules, Chhattisgarh and Rajasthan report points out to the losses caused to the exchequer. Further, State of Uttar Pradesh, State of Maharashtra and State of Andhra Pradesh have procured helicopters in last decade too at prices well over and above the prevalent market prices at the relevant time and in some cases of even higher to current price too,” states the petition. It is also alleged that in the case of purchase of an Agusta helicopter by Chhattisgarh government, the documents procured by the petitioners under RTI points out a criminal conspiracy in the procurement in a malafide manner. 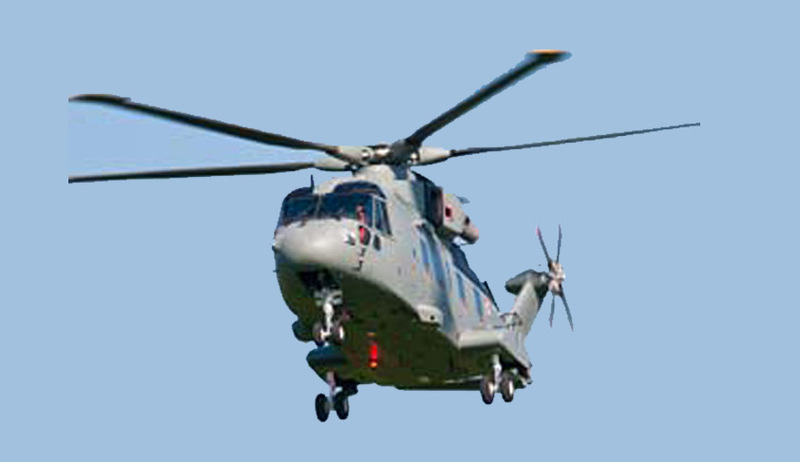 It is further submitted that AgustaWestland is the same tainted company against which a CBI and ED inquiry is already going in case of VVIP chopper deal of Union of India. In the Chhattisgarh deal, a sham tender was called for a particular model of Agusta helicopter in which three companies represented by same person participated and forged documents were created. Further, it is apparent from the record that money over and above the actual price of the helicopter was siphoned off in foreign exchange in certain accounts of banks outside the country.